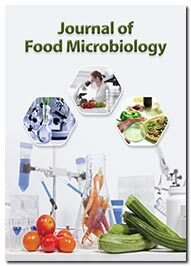 Journal of Food Microbiology is an open access, peer-reviewed journal dedicated to project the role of microbes in strengthening as well as contaminating the food we eat by providing a comprehensive overview on microbial activity on the food processing, preservation, enriching nutrient values, and food safety. The Journal of Food Microbiology focuses to share and disseminate the latest research developments on topics including; Food Safety, Fermentation, Probiotics, Microbial Pathogens, Anti-microbial preservatives, Food additives, Microbial contamination, Food poisoning, Edible microbial colourants, Food Service, and Processing, biofilm contamination, and Food borne diseases. Journal of Food Microbiology aims to cater the needs of dieticians, nutritionists, medical practitioners, healthcare providers, food processing industries, academicians and students indulged in studying the role of microbes in enriching and contaminating the food we consume. The journal thus features original research articles, review articles, case studies, editorials, perspectives, and commentaries. The journal constitutes its Editorial-Board comprising scholars from all over the world to explore the food microbiology research to strengthen this field of study. Our Editorial Board members help the journal by reveiwing the articles with their subject knowledge and give their best comments so that we make the articles publish and expressed at its best. Growing significance of Vibrio parahaemolyticus as an emerging foodborne bacterial pathogen. Presence of pathogenic bacteria in ground beef during consumer thawing and food-handling habits.